Celebrate success as a group. NFL players may do individual victory dances in the end zone after every touchdown, but that doesn’t mean your kid should too. Keep celebrations low-key and communal. Bredeman says he typically ends practice and games with a group high five. 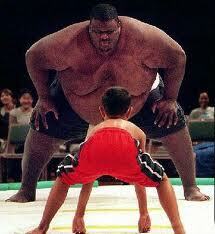 I am much more comfortable avoiding competition in my classroom. I know some see competition as a motivator and others see it as a skill extremely useful for dealing with the competitive realities of the real world. I worry about its effect on classroom unity and friendships. I want my classroom working for and with each other instead of ‘dog eat dog’. Not everyone can win every competition, whether it be athletic, academic, or just for fun. By focusing on the event itself, rather than the outcome, children can both try to do their best and not be devastated if they lose. David Johnson, professor emeritus of educational psychology at the University of Minnesota, suggested that parents, coaches and teachers not inflate the benefits of winning or coming in first. “If the stakes are low, the emphasis is placed upon sheer enjoyment of the activity,” Johnson told the Deseret News. Those who didn’t win the game, score the most points or come in first should still feel like they had an enjoyable experience and got something valuable out of the activity. Since life will inevitably bring failure at some point, experts recommend letting kids develop coping skills in a low-risk situation. “Parents see failure as a source of pain for their child instead of an opportunity for him to say, ‘I can deal with this. I’m strong,’ ” says Madeline Levine, Ph.D., author of “The Price of Privilege: How Parental Pressure and Material Advantage Are Creating a Generation of Disconnected and Unhappy Kids,” in a Parent.com article. While it can be devastating to watch your child suffer, teachers like Jessica Lahey have learned that children perform better when given the chance to fail and accept the consequences. “Year after year, my ‘best’ students — the ones who are happiest and successful in their lives — are the students who were allowed to fail, held responsible for missteps, and challenged to be the best people they could be in the face of their mistakes,” Lahey wrote in The Atlantic. While this may seem like a no-brainer, parents can inadvertently send the wrong message to their kids. Rimm pointed out that highly competitive families can sometimes instill a belief in the child that winning is associated with their self-worth, which can make future failures impossible to handle positively. Parents don’t need to protect their kids from the stress of competition or the failure of losing, but they should make sure that the situation — a soccer game, a spelling bee, a board game or simply getting good grades — is a fun and positive experience. “When asked whether they would rather be warming the bench on a winning team or playing regularly on a losing team, nearly 90 percent of children chose the latter,” reported the Deseret News, referencing a Michigan State study. 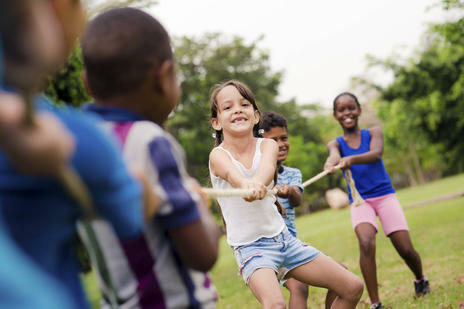 Kids will compete naturally, and want to be the best, but parents can help children understand that competition is not just about winning; it’s about having fun and learning important skills, psychologist David Johnson told the New York Times. Click on the link to read Is Competition in the Classroom a Good Thing? Parents who have agonised over getting their children into the best school may have been wasting their time and effort. Surrounding a child with brighter peers could actually damage his or her education, researchers warn. They said constantly being outshone in the classroom by brainboxes could shatter their confidence so much that they end up doing worse academically. So weaker students – both boys and girls – might be better off at a less competitive school as they have the psychological advantage of being a ‘bigger fish in a smaller pond’. 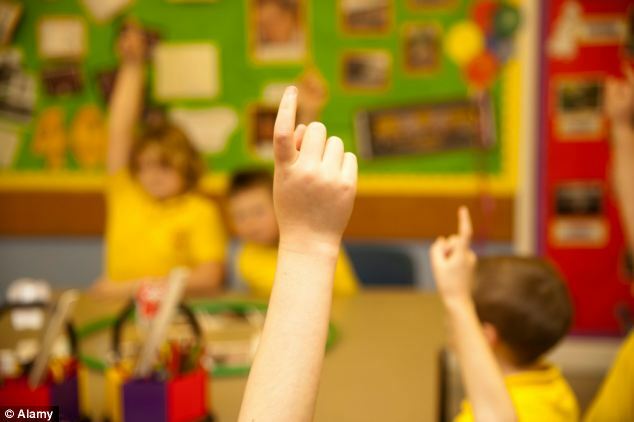 Being a competent pupil in such a setting can help ‘motivate’ children and lead to ‘confidence, resilience and perseverance’, according to the findings. Bright children, however, tend to thrive as they move through their school careers because they are already filled with self-confidence. This positive side of the phenomenon affects both sexes although it is far more pronounced in boys, according to the paper from the London School of Economics. The gain was said to be similar to a child who is the best in their street at football and ‘becomes more confident and spends more time playing and so further improves’. Dr Felix Weinhardt, a post-doctoral research fellow in economics, said: ‘Our findings go against the common assumption that having better peers is always the best for children. Previously we thought there were no negative effects. The research looked at almost 2.3million English pupils taking National Curriculum tests in maths, English and science. Assessments for those aged 11 (Key Stage 2) were used as a benchmark of ability while those for 14-year-olds (Key Stage 3) were used to rate how well they did at secondary school. The project also used a survey on confidence taken by 15,000 pupils. The data revealed those near the top of their class in primary school continued to improve while those who struggled often did worse. The upward trend was stronger for boys but the same for both genders in pupils from deprived backgrounds. The ratings for both boys and girls in the bottom quarter of performance at primary dropped at secondary level. 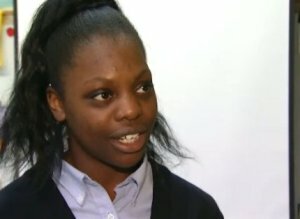 Two high school athletes took the term ‘fight to the finish’ literally when they sparked a mass brawl during a relay race in New York City. The athletes from Thomas Jefferson High School in Brooklyn and Mount Vernon High School in suburban Westchester County were competing in the Hispanic Games last weekend. As the two unnamed players came into the home straight to exchange their batons, they got tangled up together and ended up both running off the track. Punches began to fly and in seconds, the rest of their respective teams joined in the fight. The row took place during a heat for the relay race at the Hispanic Games, one of the largest track meets in the nation. Some 6,000 high school athletes from 300 schools attended the meet at the Armory Track in Harlem. The Olympic Games is not about winning but about competing. In every competition there are winners and losers. Our athletes have the potential to show our children how to win with dignity and humility and how to deal with the disappointment of losing. I think its fair to say swimmer James Magnussen could have reacted with more class after his performance in the relay team proved underwhelming. Putting the emphasis on giving your best. While everyone wants to win, shift the focus from winning to giving your best and to having fun. Explain that playing the game is like the cake and winning is like the frosting on top. It’s sweet, but the cake can be enjoyed without the frosting too. Providing your child with opportunities to lose. While it can be tempting to let your child win at board games and other games, don’t. When he genuinely wins, model how to lose gracefully and we he loses, guide him through losing gracefully by encouraging him to be a good sport. Teach your child to always say “congratulations” to the winner and to shake his hand. Explain the importance of not throwing a fit when you lose and not boasting when you win. Model good sportsmanship with you are watching games together and take the time to point out and explain when you see others displaying both good and bad sportsmanship. Praising your child when he handles loss well. Offer lots of positive purposeful praise when your child plays hard and handles loss well. A “Wow, you really ran hard after the ball. I’m so proud of you” will go a long way to lessen the sting of the loss. Talking to your child about why he lost. Talk openly about the game and experience. Teach your child that sometimes we lose because our skills aren’t as good as our opponents, sometimes we lose because of bad luck or a bad call, and sometimes we lose because we didn’t play our best. Giving rational reasoning for losing can help making losing less emotional. Make an effort to teach your child to lose gracefully. If you do, your child and those who play, coach and teach him will thank you. Sometimes I find it hard to decide whether to expose my students to the realities of the real world or protect them from disappointment. Never is the conundrum stronger than when it comes to the issue of competition in the classroom. Society loves to paint clear labels. Winners and losers, successful and unsuccessful, popular and unpopular, beautiful and ugly. The pressures that these labels bring is certainly prevalent in the classroom and is a great cause of anxiety among the students. No matter how tactful the teacher can be, the students are aware that they are graded, levelled and streamed, and with the help of their parents, take a strong interest as to where they stand in the pecking order. 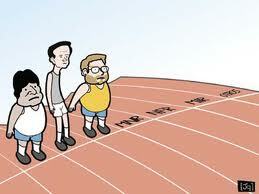 There are many teachers who use competition as a motivating force. Everything from star charts and games to public assessments and evaluations are intended to get students to ignore the often mind numblingly boring lesson presentation and instead, concentrate on beating their fellow classmates. There are students that excel when offered this incentive. These students love the modern trend of standardised testing. For them, it’s an opportunity to show how dominant they are over their peers. But then there’s the student that collapses in a heap under the threatening and potentially confidence sapping pressures of being compared to others. These students watch their fellow classmates reading at level 30 while they are in the late teens and decide that they hate reading and have no interest in practicing or improving. These students claim that they are stupid, so what is the point. I was a student who struggled to cope in an environment of “dog eat dog” competition. My classmates left me in my wake as I struggled with the labels that came with constant comparison and the humiliation of being repeatedly streamed in the bottom group. That is why I modify my teaching to cater for students sick of the constant intrusion of grades in education. When testing the kids, I don’t give them a letter or number grade, instead I chose to give them clear feedback on skills they performed well in and found challenging. This not only prevents students from comparing themselves to others, but also provides clear feedback on what they can do and what skills require further practise. The question is, if real world experiences feature competition, comparisons, labels and winners and losers, am I protecting my students from experiences they need to learn? Eventually they will need to compete against others for jobs and promotions. If I protect them from real life situations am I not doing them a disservice? Another issue I have on this topic is that I don’t approve of many of the behaviours prevalent in the “real world”. Just because there is bullying, gossiping, bad manners and selfishness outside my classroom doesn’t mean that I will stand for it in my classroom. At some point I want to ignore what goes on outside the four walls of my classroom and instead, help my students change the rules of society rather than simply prepare them for it. Is Competition in the Classroom a Good Thing? I have the least competitive class on the planet. My class clearly struggle when pitted against each other. They are a naturally tight class, with no discernible popular figure and no outcast. It is a credit to them that they are so close. Similarly, they deserve kudos for being committed to continuous improvement, not out of a desire to be better than their classmates, but simply because they want to achieve to their maximum. But then comes the annual Sports Carnival, and all of a sudden, things change. The kids just couldn’t cope with coming third, fourth and especially last. They felt they let themselves down as well as their team. Some of them were justifiably upset that they were put in the same heat as much faster runners and were therefore not even given a chance to win. Part of me feels responsible. I noticed at the beginning of the year that this group hated competition, and I tried to ensure that I steered clear from competitive activities and tests. When testing the kids, I don’t give them a letter or number grade, instead I chose to give them clear feedback on skills they performed well in and found challenging. This not only prevents students from comparing themselves to others, but also provides clear feedback on what they can do and what skills require further practise. Some say that competition is good. It is character building, it prepares the child for the competitiveness of the real world and motivates the child. I am skeptical when it comes to competition in the classroom. My experience tells me that many teachers resort to grades and levels in elementary level when the content of what they are teaching isn’t particularly interesting and requires a bit of superficial stimulus. Am I doing more damage than good, by protecting my students from competing against each other? Even though my students are motivated and have a natural enjoyment of learning in the current setup, am I doing a disservice by not preparing them for the realities of not winning, getting beaten and dealing with the joy of doing better than others?